Thanks Bill, yes has been a while but I started up the astro engine a few weeks back. I would LOL but that was when I had bought and owned my MK66, sold it around 2005/6 to a fellow out in your neck of the woods, it was 1/6th wave according to the ITE lab test report but the optics were extremely smooth. It is in no way scientific but from memory that scope today would compare to my Orion 150, it did take two samples from Orion to get this one but I was a first adopter on them bringing back the new version of the 150 and I kind of had the feeling that the first scopes mirror had a little flop inside the tube but I never had taken it apart. I did check this one and no mirror flop or focus shift, this is why I am very reluctant in selling this sample. That MK66 was built like a tank I kind of wish I never sold it but I bought my first C9.25 after that scope but although the optics were ok the mechanical issues were a real pain. I've owned way too many scope and not enough time, LOL. Just for kicks, here's the Roddier test of an Orion rebadge of the MK-67. The test was done using a 632nm laser source so I'll leave it as an exercise for the reader to calculate the PV and RMS values (and hence Strehl ratio) in green (555nm) but I'll tell you it's very good. FWIW I've received a reply from Costruzioni Ottiche Zen to the effect that they no longer make finish OTA's - only optical sets (mirror + corrector). For sizes larger than 180mm they're they only one left. Edited by luxo II, 07 August 2018 - 09:32 PM. Edited by dscarpa, 08 August 2018 - 08:41 PM. Lack of parts is a concern for sure. Spare parts simply don't exist for Intes scopes. There isn't an Intes scope on the interwebs - not even a busted one in bits on eBay. Note also the Intes website hasn't been updated for several years which does indicate they are well and truly defunct for commercial scopes. As for mine, the 9" optical sets were a special made by Intes for Santel which folded more than 10 years ago, and I have never found hints of another scope like this one outside Russia. Looking back over the last few years it appears Intes had lost interest in building finished OTAs some years ago and only APM was brave enough to take on building OTAs to order with Intes optical sets. But even that has dried up now. So... yes I'd suggest they are now firmly "classic" status, to be looked after carefully. They are pretty simple, to the extent that mechanical issues can be fixed at reasonable cost - I'm having a new backend made for mine in order to replace the original focusser with a decent modern one, and will open the OTA up at some point to add more dovetail plates and a nice handle or two. But damage the optics... you're out of luck. Edited by luxo II, 09 August 2018 - 08:54 AM. I have 3 scopes from this firm, a 24" dob, a 16" and a 6" Apo. All of them have exquisite optics. They are handcrafted in Venice, Italy. Edited by Freezout, 10 August 2018 - 05:51 AM. There is a nice MN66 for sale on Amart now. An MN56 sold, oldie but apparently pristine optics, a mint APM/Wirth 8” f/6, MN106 still for sale and I know of a very good MN61 for sale elsewhere. Edited by luxo II, 15 November 2018 - 05:14 AM. Those Maksutov-Newtonians are absolutely awesome! I have recently added an Mk 67 and an MN56 to my collection. Main reason was I got the pair from different people for less than $1K combined (and my LOMO 95 was lonely). Mk67 is almost mint and yes I hate the focuser (the JMI focuser on my early MK 65 was better). Ordered an adapter from Starlight so I can put one of my FT focusers on it. As for the MN56 it has a loose secondary mount. Something I have dealt with in the past in scopes that came directly from APM to us at Hands On Optics. Not sure what I might do to its focuser. Edited by photoracer18, 15 November 2018 - 04:11 PM. My Intes Mak 603 Deluxe has been getting a lot of use of late. Mainly because it fits well on a Skywatcher star discovery mount. It is around the recommended limit of this mount but I have had fun using it in the past month.It creaks a bit in altitude but for the price it has a lot of good features. They are very easy to use. We are doing a road trip in a motor home over Summer and I think this set up might come along for the ride. My IM603 has a good functional focuser. The images are really nice and cooldown is not really an issue here in NZ in November. I agree with the convention a 6 inch 33% CO scope is similar to a 100 mm apo on Planets. The extra resolution and extra aperture excels on deep sky targets. With a 1520 mm focal length this scope delivers just over a degree with a 32 mm TV Plossl eyepiece. The mass of the bare ota is 4.8 kg, add a diagonal, eyepiece and red dot finder and it comes to 5.3 kg. Add a dew shield and the total is 5.5 kg. It is a shame these scopes are no longer made. I also have a 703 which is about 6.5 kg for the bare ota. I mount this on an Ioptron ZEQ25 and an old AP600E mount. Thanks for the heads up! I just purchased it. 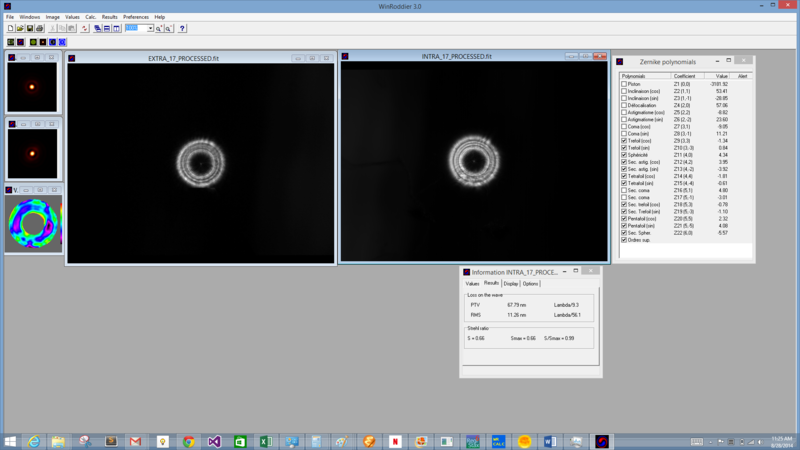 Will I get substantial vignetting with 72 degree eyepieces (Delos) with the MN66 and its 21% obstruction secondary? Tyson no, not in the Delos as the largest is 17mm so the field stop is comparable to that in my SSW 14 (82 degree field). In say a 2” 38mm 70 degree eyepiece yes you would. Congratulations! It's one of the finest telescopes I have ever owned. Routinely outperforms 5" apochromatic refractors. Edited by agmoonsolns, 20 November 2018 - 11:54 PM. I was told it is like a 5.5 apo! I will be my TEC wanna be. I feel that picking up these mak Newts are special, especially consider the topic of this thread. Mine comes with a feathertouch and rotating rings. But the tube has some cosmetic paint-loss issues. I'm not too concerned though, corrector looks brand new. Edited by Tyson M, 21 November 2018 - 12:00 AM. I have been really perplexed by the lack of Intes equipment on the used market. It's kind of like they have become like Quantums and only rarely come up for sale. Reaching thermal equilibrium is important with these scopes. Once equilibrated, these are insanely sharp instruments. One of the best moon scopes I have ever used. I'll put it in a soft carrying case and let it sit outside for an hour prior. Edited by dscarpa, 21 November 2018 - 08:48 PM.